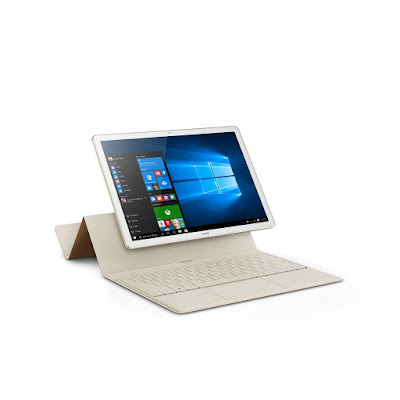 At the MWC 2016, Barcelona, Huawei unveiled its new MateBook with Windows 10. The device comes with all metal design- however it will be available in 4 different colors. The MateBook is 6.99mm thick and weighs 640gms, and it comes with 12-inch 2K IPS display. The device will support sixth-gen Intel Core M CPUs, which includes m3, m5 and m7. It comes with 64GB of internal storage and 4430mAh battery. This device also comes with a dock and will provide more ports such as HDMI, more USB ports, etc. it will also come with a Pen, known as Mate Pen, and it works in the similar manner as the Surface Pen. The Mate Pen comes with some mind-blowing shortcuts, such as the ability to quickly open OneNote. The Matebook is built for Windows 10 and hence is comes come features and productivity tools, such as, Microsoft Edge, Cortana and Windows Hello. It comes with a sixth-generation intelligent Intel Core M processor which helps in handling the most rigorous business demands. The MateBook will be available later this year starting at $699 (up to $1599). The MatePen will be available for $59 while the keyboard will be available for $129 and the dock will be available for $89.